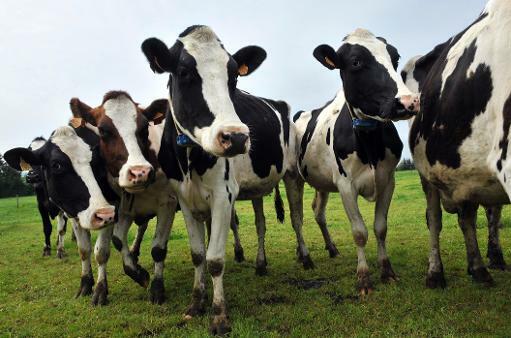 Rome (AFP) – Livestock farming makes up 14.5 percent of all human-caused greenhouse gas emissions, the UN food agency said Thursday, proposing solutions like breeding less-flatulent types of cows. The Food and Agriculture Organisation (FAO) said the methane from livestock every year was equivalent to around 144 million tonnes of oil — enough to power the whole of South Africa. The Rome-based agency said that existing methods, including changing animal diets and farming animal feed more efficiently, could reduce emissions by up to 30 percent. “These new findings show that the potential to improve the sector’s environmental performance is significant,” said Ren Wang, FAO’s assistant director for agriculture and consumer protection. Wang said it was “imperative” to act now to reduce emissions from the sector since world demand for meat and dairy was rising rapidly, particularly in emerging markets. FAO’s report found the biggest source of emissions was in feed production and processing — around 45 percent of the total — while animal gases accounted for around 39 percent. FAO said its report was “the most comprehensive estimate made to-date of livestock’s contribution to global warming — as well as the sector’s potential to help tackle the problem”.